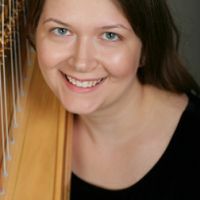 Additional Info: Melissa holds a Bachelor and Master of Music degree in harp performance from the Peabody Conservatory of Music and is dedicated to the art of pedagogy (teaching) of the harp. With extensive teaching and performing experience, Melissa brings patience, knowledge and compassion to every lesson. Melissa is also available for coaching on solo and chamber music performances. Melissa is an active member of Music Teacher’s National Association, Northern Virginia Music Teacher’s Association, American String Teacher's Association, Virginia String Teacher's Association, American Harp Society, and the DC Chapter of the American Harp Society and the American Federation of Musicians, local 161-70. Melissa is happy to help students arrange for harp rentals. There are a limited number of rentals instruments available directly through Melissa. Studio instruments for use are 2 pedal harps (46 and 47 strings) and a lever harp. All ages are welcome, no prior musical experience necessary. Admission is by brief audition/interview. Melissa’s students perform a spring recital at the Lyceum in Alexandria. Melissa encourages her students participate in many American Harp Society programs, including the AHS National Competition, Music Education Auditions, and various master classes and recitals and harp ensemble events sponsored by the AHS. Melissa is proud of her student’s accomplishments. Students have been members of: The McLean Youth Orchestra, The Youth Orchestra of Fairfax, The Salisbury Symphony Orchestra, attended the Saratoga Harp Colony and have had the opportunity to perform at the Kennedy Center for the Performing Arts. Students are encouraged to seek out performance opportunities in their schools, churches and community.